Dr. Mahmoud Talib Al Ali, the Director of the Centre for Arab Genomic Studies (CAGS) and the President of the 6th Pan Arab Human Genetics Conference, announced that the conference, which will be held in Dubai from 21 till 23 January 2016, will present the details of associations between HLA-DQA1, DQB1 and DRB1 alleles with Type I Diabetes in Arabs, at a scientific session entitled Genetics of Diabetes. “These genes –named Human Leukocytes Antigens (HLA) - play a pivotal role in human autoimmune diseases generally”, he said. H.H. Sheikh Hamdan bin Rashid honors the winners of the "Minister of Finance Institutional Award of Excellence 2015"
H.H. Sheikh Hamdan bin Rashid Al Maktoum, Deputy Ruler of Dubai, and the UAE Minister of Finance, honored the winners of the "Minister of Finance Institutional Award of Excellence 2015", the supervisory team of the Award, and the Ministry’s team who has participated in the UAE Innovation Week. H.E. 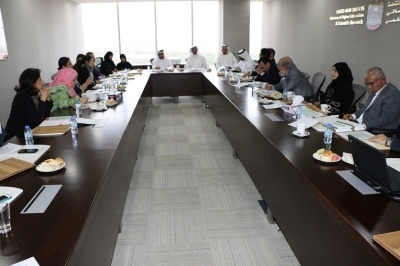 Abdul Rahman Al Owais, the UAE Minister of Health and the Chairman of the Board of Trustees of the Sheikh Hamdan Bin Rashid Al Maktoum Award for Medical Sciences, chaired the 1st meeting for the Award’s new Board of Trustees. H.E. 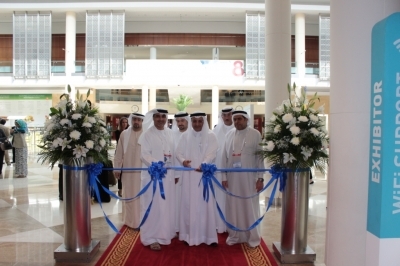 Humaid Al Qatami, the Chairman of the Board of Dubai Health Authority and the Vice Chairman of the award’s Board of Trustees, opened the activities of the 16th Emirates Society of Ophthalmology Congress (10-12 December), at the Dubai International Convention and Exhibition Centre, in the attendance of Abdullah bin Souqat, a member of the award’s Board of Trustees. A delegation from the Sheikh Hamdan Bin Rashid Al Maktoum Award for Medical Sciences (HMA) has participated in the "Regulation of Scientific Research Forum" organized by the UAE Ministry of Higher Education and Scientific Research, in the headquarter of the ministry in Abu Dhabi, and headed by Dr. Husam al Ulama, the Director of the Scientific Research Department. Dubai, the 9th of December 2015: H.H. Sheikh Hamdan bin Rashid Al Maktoum, Deputy Ruler of Dubai, UAE Minister of Finance, and the patron of Hamdan Medical Award, issued a decree in regards to forming the Board of Trustees of the Award. According to the decree, H.E. Abdul Rahman Mohammed Al Owais, the UAE Minister of Health, will chair the board of trustees, and H.E. 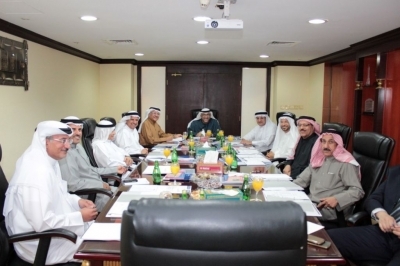 Humaid Mohamed Al Qatami, the Chairman of the Board of DHA, will be the Vice Chairman of the board. Hamdan Medical Award organizes a training course on "Making Children Safer in Radiological Imaging"
Today morning, the 2-days training course entitled "Making Children Safer in Radiological Imaging" has been launched by Sheikh Hamdan Bin Rashid Al Maktoum Award for Medical Sciences in cooperation with the Dubai Health Authority. 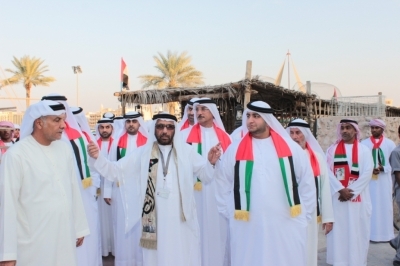 Under the patronage and in the presence of Sheikh Rashid bin Hamdan bin Rashid Al Maktoum, the Chairman of the Board of Trustees of the Al-Maktoum Foundation, Sheikh Hamdan bin Rashid Al Maktoum Award for Medical Sciences participated in the celebrations organized by AL-Maktoum foundation on the occasion of the UAE’s 44th National Day.